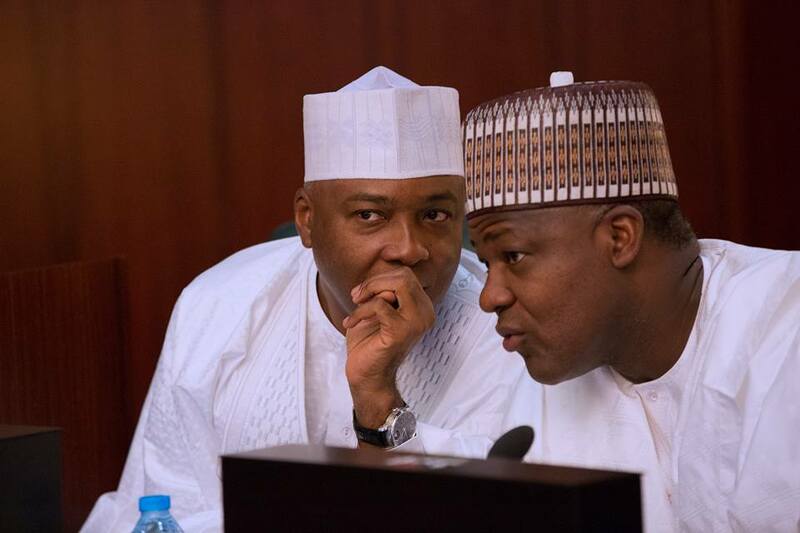 The All Progressives Congress, APC, has given reason it gave up the plan to impeach the Senate President, Bukola Saraki, and the Speaker of the House of Representatives, Yakubu Dogara, following their defection. The APC, speaking through its National Auditor, Dr. George Moghalu, told Daily Sun that the rigid stipulations for the impeachment of the principal officers have compelled the ruling party to shelve the idea. Moghalu pointed out that though the party desires to impeach Dogara and Saraki, the prevailing circumstance made it impossible. Recall that the national leadership of the party had on different occasions, vowed to impeach the Senate President and the House of Representativesâ€™ Speaker after their defection to the Peoples Democratic Party, PDP. Asked if the ruling party has given up on the move, Moghalu said, â€œThe situation is not about given up, the present reality is that as a law-abiding party, one thing is the wish, while another is the act itself. â€œWe wish to have the leadership of the two chambers as a party, but the point is that the reality on ground will not make it achievable. â€œConsidering the prevailing reality, the possibility of changing the leadership of the two chambers is not there, because we need the required number to so. â€œDonâ€™t forget that we are in a constitutional democracy. We may be left with no other option than to live with the current situation because we donâ€™t have another choice. â€œHowever, my simple appeal is that the common denominator is the unity of Nigeria.